The Green Room returned to Twickenham Stadium to support the England Squad at their home ground last weekend. Situated in the Captain's Club in the North Stand of the stadium, guests were welcomed to the facility with a champagne reception before taking their seats for a full day of rugby entertainment. 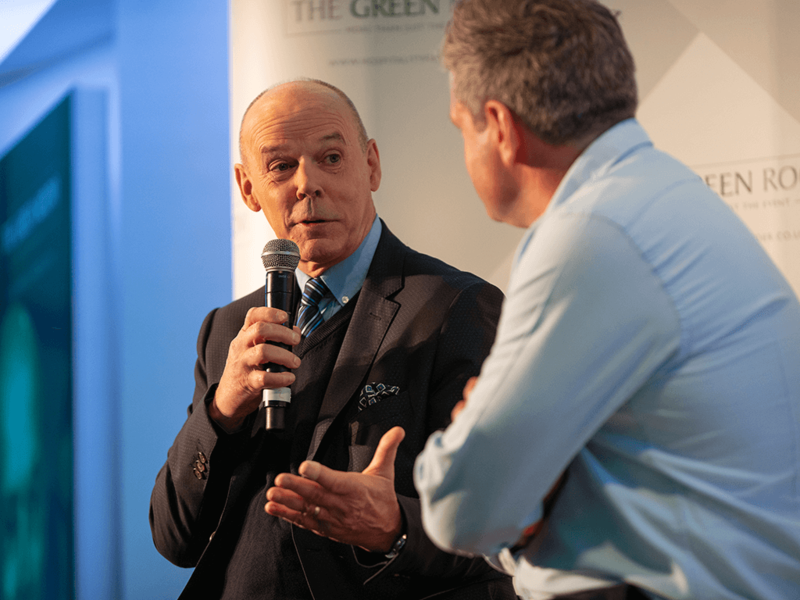 There was no better way to start our Q&A panel sessions than to welcome 2003 Rugby World Cup winning head coach, Sir Clive Woodward, to the stage for a Q&A with Mark Durden-Smith. After quizzing and questioning Sir Clive for his answers and exclusive stories, Mark took to the floor to scope out a whole host of celebrity guests including Gogglebox star Dom Parker and professional footballer Jack Butland. Other VIP guests inside The Green Room included former skeleton racer and Olympic gold medallist, Amy Williams, English actress and socialite, Davinia Taylor, and football legend, Stuart Pearce. Alongside these famous faces, we were also joined in The Green Room by various rugby legends including French Rugby player Thomas Lombard. 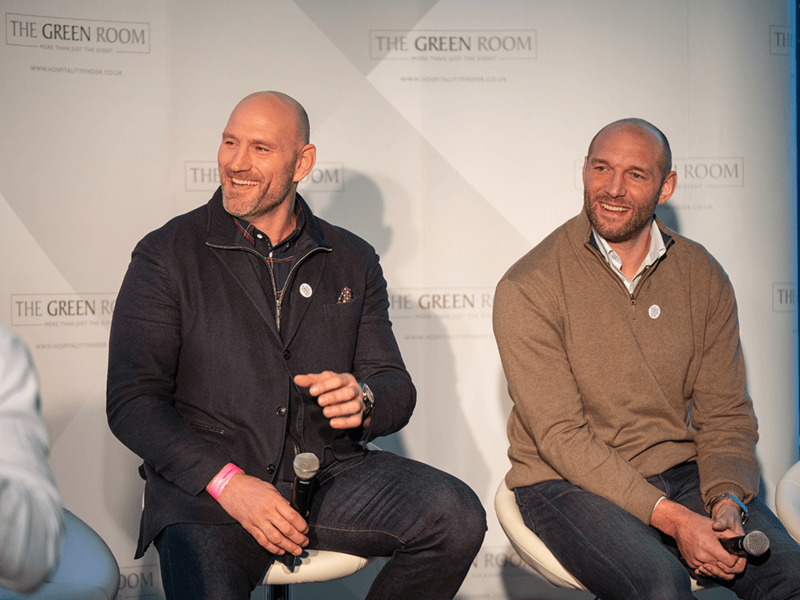 Green Room regulars Austin Healey and Mike Tindall both discussed what they thought of previous matches and what their predictions would be for the England v France clash taking place in a matter of hours. While the rugby legends provided the entertainment on stage, guests tucked into a delicious 4 course menu including chicken, smoked duck and wild mushroom terrine, black treacle rolled fillet of beef, passion fruit mousse and a cheese course to finish off. Another fantastic game for the England squad leaping in front of France within the first 2 minutes of the game. England Captain, Owen Farrell, kept the home team on top form going into the second half with a 30-8 lead on France. France struggled to put up a strong deference against England’s impressive forwards but unfortunately wasn’t enough. England managed to steal the win very early on in the game and continue their winning streak thrashing the competition with a 44-8 result. Turns out Austin Healey’s 44-11 prediction wasn’t far off at all! 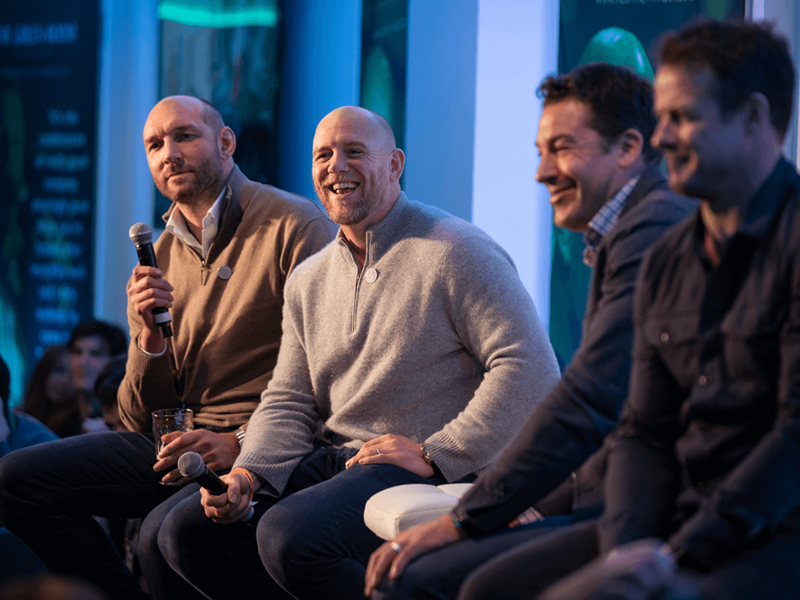 Mark returned to the stage with Mike Tindall, Ben Kay, Thomas Lombard and Austin Healey for a post-match analysis. The panel shared their thoughts on how first half flowed for the England squad whose defence didn’t slow down throughout the match. So far this year has been outstanding for the team and if they are able to maintain this and keep the pressure on the other teams that England will be in a good spot going forward for the Rugby World Cup 2019. With guests in high spirits after the result Mark revealed the winner of the competition to join our ambassadors at the Rugby World Cup Warm up against Wales this August. Our lucky winner even got invited onto the stage to join the sporting legends on the panel! Overall, it was a great day for England fans in The Green Room, witnessing a dominating result from the squad and spending the day mingling with famous rugby legends. England are set to play against Wales, Italy and Scotland in the forthcoming weeks, with their previous wins behind them they will be fully pumped to take on these fixtures. Enquire today to secure your day of full VIP hospitality to the Guinness Six Nations Rugby in The Green Room.